Samsung Electronics and China UnionPay (CUP) have launched the mobile payment service Samsung Pay in China. The South Korean firm joins Apple in entering the country, as the US giant launched its mobile payment system in China last month. That was also in partnership with state-owned bankcard association CUP. Samsung Pay currently supports credit and debit cards from nine banks including China CITIC Bank, China Construction Bank, China Everbright Bank, China Guangfa Bank, China Minsheng Banking Corp. Ltd, China Merchants Bank, Hua Xia Bank, Industrial and Commercial Bank of China and Ping An Bank. It will eventually include future support for select credit and debit cards from six additional banks including Bank of China, Bank of Beijing, Bank of Communications, China Bohai Bank, Industrial Bank and Shanghai Pudong Development Bank. The Chinese market is of course huge, and according to the China Internet Network Information Center (CNNIC), by the end of 2015, 358 million people (more than the entire US population) were buying goods and using services on their mobile phones. But Samsung Pay and Apple Pay will need to work hard in a market dominated by the dynamic duo of Tencent Holdings’ WeChat Payment, and e-commerce giant Alibaba Group’s Alipay – run through internet finance affiliate Ant Financial Services Group. Ant Financial says Alipay has over 400 million active users, with 80% on mobile. Should banks consider domestic payments schemes? Domestic card schemes have traditionally partnered with MasterCard and/or Visa in an arrangement that leaves the domestic player handling the local transactions and their international partner facilitating and controlling the international business. Should banks work with both or just partner with one of the international schemes? UnionPay moves West with a multi-currency pre-paid card. 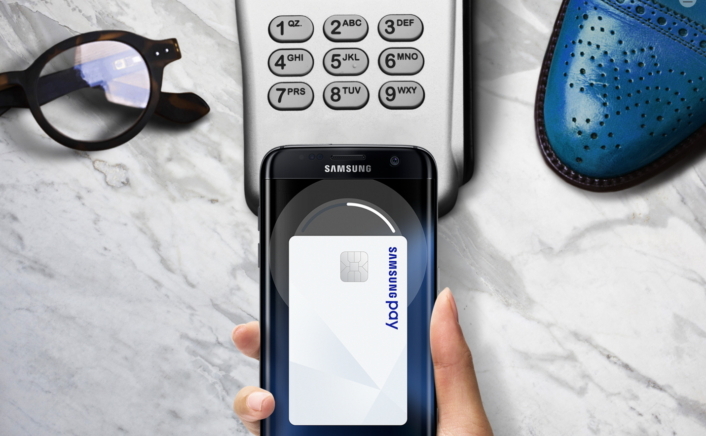 PayPal-owned Braintree will integrate with Samsung Pay.